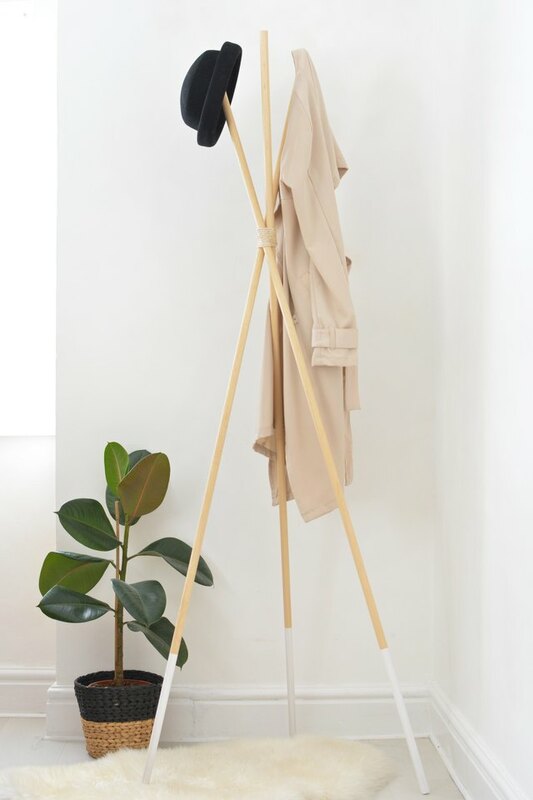 This modern teepee coat stand is perfect for storing your jackets and hats, and its minimal design is great for contemporary homes. It's incredibly simple to make, no glue or screws required, and you can stain it to match your other furniture! I'll show you how to make your own in the tutorial below. 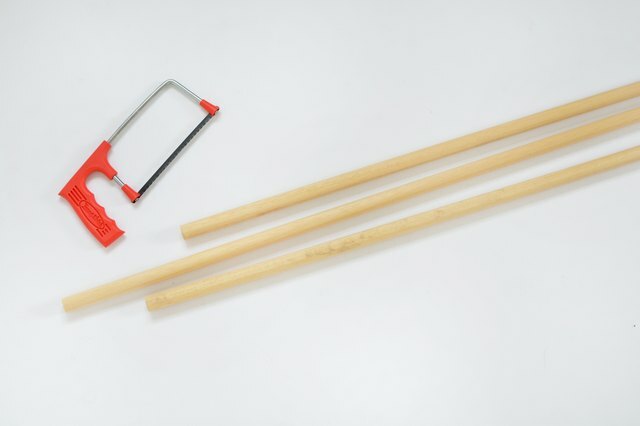 Cut all wood dowels to measure 63 inches in length using a hacksaw. 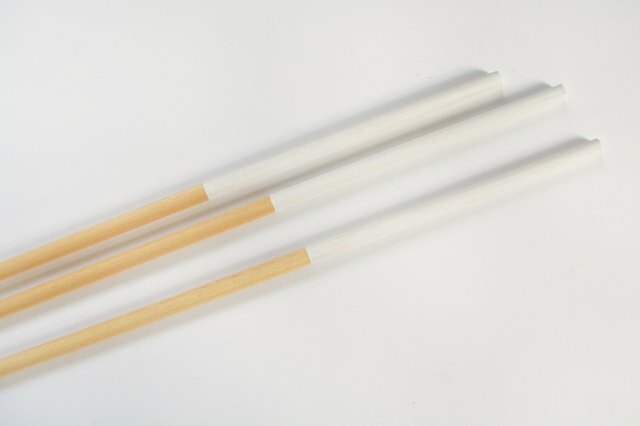 Measure 12 inches from one end of each dowel, and then wrap a piece of masking tape around each dowel at that mark. Paint the 12-inch sections you've masked off with white acrylic paint. 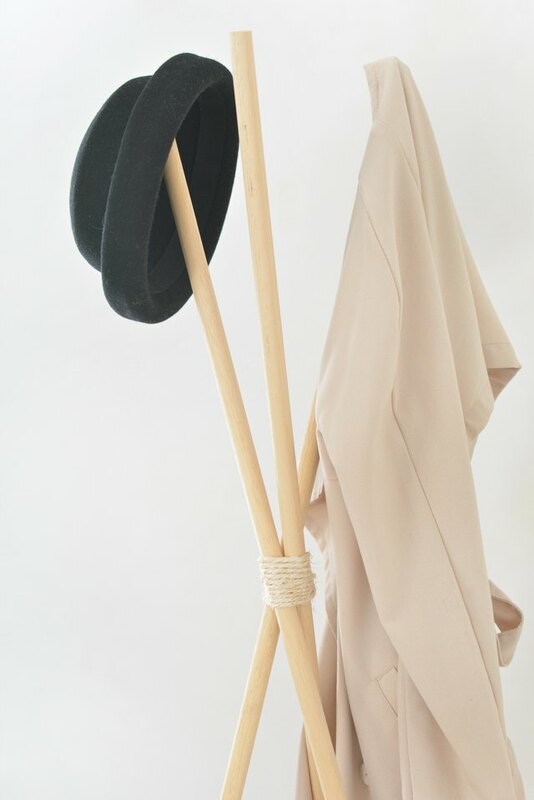 To assemble the hat stand, gather all the dowels together. 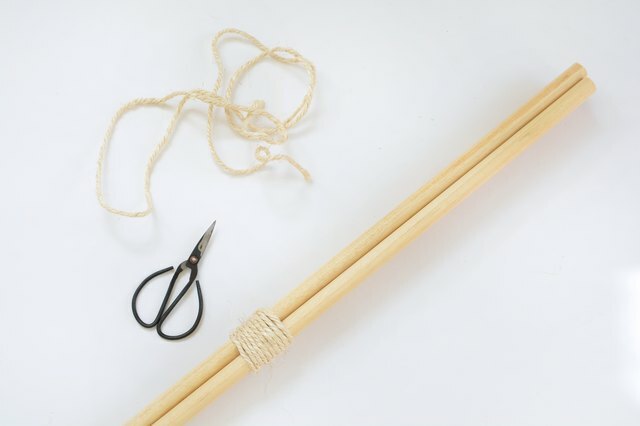 Take a length of rope and wrap it tightly around the dowels to secure them about 20 inches from the top. Tie the rope with a strong double knot and trim the ends. Spread out the dowels to open up the hat rack and create the teepee shape. 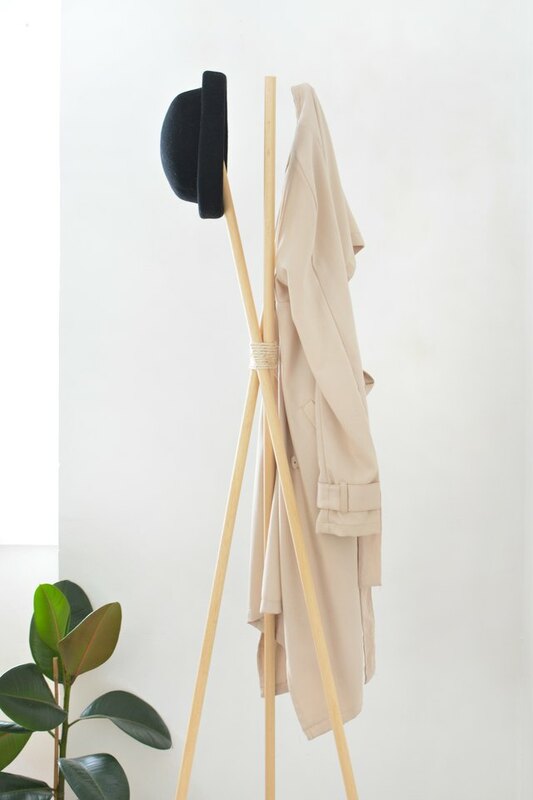 Your teepee hat and coat rack is now ready to use! 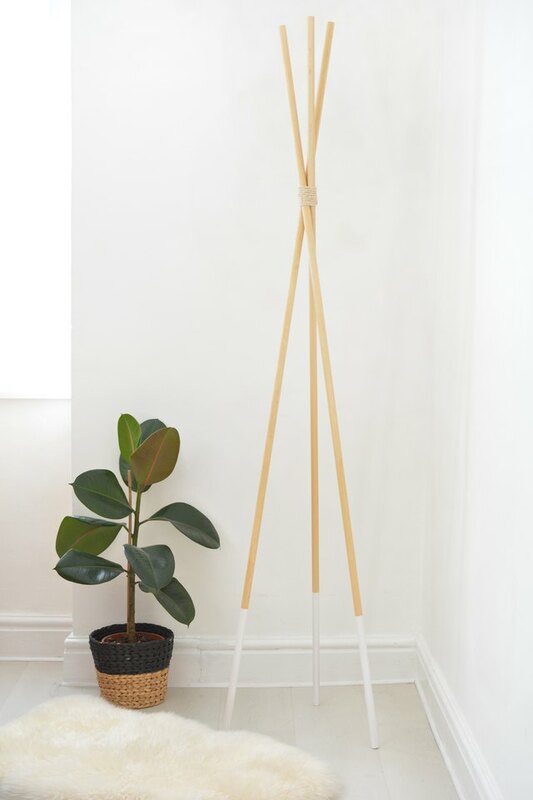 It's such a simple project to make, and you can use four dowels for extra strength if you'll be hanging additional coats. This is a great DIY that you can customize to match your home decor; you can paint the ends any color or stain the rack to suit your home!